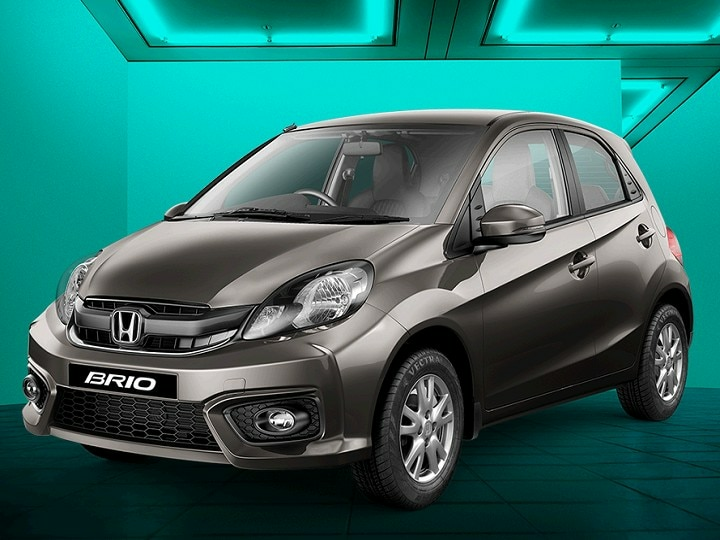 The Brio is Japanese automaker Honda's smallest offering in India. However, it is of importance to Honda due to the platform on which it is based. The Brio's platform underpins the Amaze, whose underpinnings can be found in the Mobilio, which acts as the base for the BR-V. Keeping that story aside, refreshing the Brio is a task long overdue. Well, 2016 is the year and October is the month when the Brio gets refreshed. The new Brio is on sale and its price starts from Rs 4,69,000, going all the way up to Rs 6,81,600 (all prices ex-showroom, Delhi). So, what has changed on the new Brio compared to the version it replaces? The first thing that has changed on the new Brio is the front fascia. It gets a new bumper (from the new Amaze) that has clearly defined, separate housings for the foglamps. The chrome content on the front of the Brio has been reduced to a tiny line below the Honda badge (and the badge itself). In fact, the reduction is to such an extent that you may even miss it at first glance. The headlamps remain the same halogen units, though. The second change is the interiors. The interior of the Brio is now just like that of the new Amaze, with the steering air-con controls and infotainment unit reminding you where the inspiration comes from. However, it misses out on the digital MID dial that does duties on the Amaze. You get an option to choose between black and beige interiors, which is something buyers would appreciate. This is all. Nothing else has changed on the new Brio. This means there is only one engine you can opt for on the new Brio (yup, no diesel). The same 1.2-litre petrol engine that was on the old car finds its way to the facelifted car too. Even the transmission options remain unchanged with a five-speed manual and five-cog CVT (using it manually would make you feel like a DTC bus driver). The 1.2-litre engine is a four-cylinder motor that churns out 88PS power and 105Nm torque. The manual-gearbox--equipped Brio is rated to return fuel economy of 18.5 kmpl while the automatic's fuel efficiency is rated at 16.5 kmpl. It still cannot seat four guys over six feet tall and the rear end is still the same as the outgoing model. Excited about the new Brio?